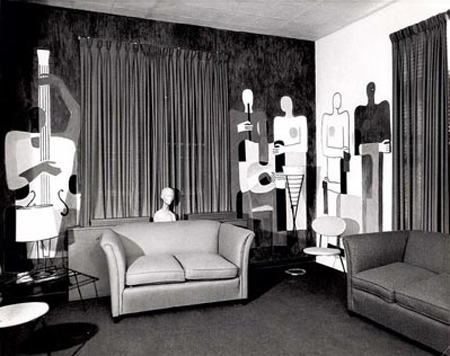 This Purist inspired mural completed by noted Canadian artist William Perehudoff in 1953, was scheduled to be demolished along with the building it adorned in 2008; but thanks to a grassroots campaign by local citizens the mural was saved. 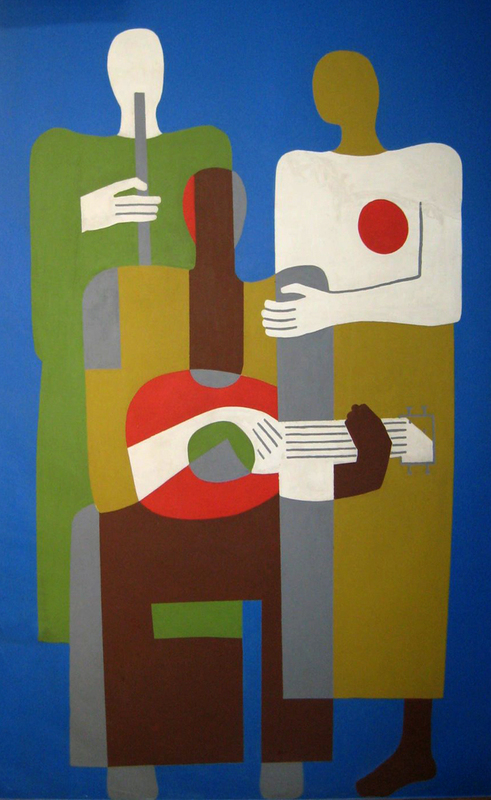 Perehudoff was commissioned to paint the mural for the reception room of the Intercontinental Packers plant in Saskatchewan Canada by the plant's owner Fred S. Mendel, who was an avid art collector. 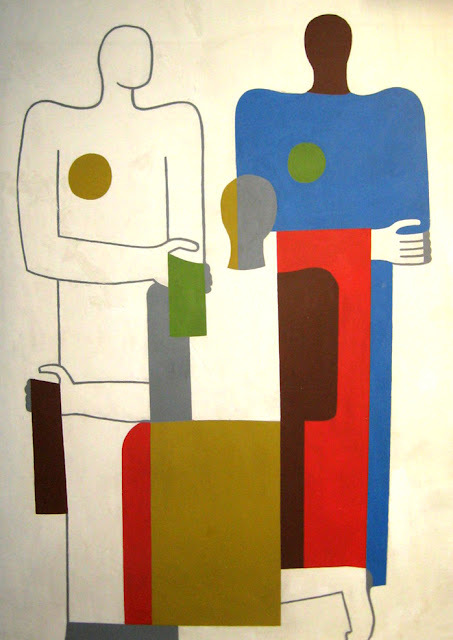 The multi-wall mural which depicts various artisans, was completed in a Purist style, following the teachings of Amédée Ozenfant, whose art school Perehudoff had attended three years earlier. 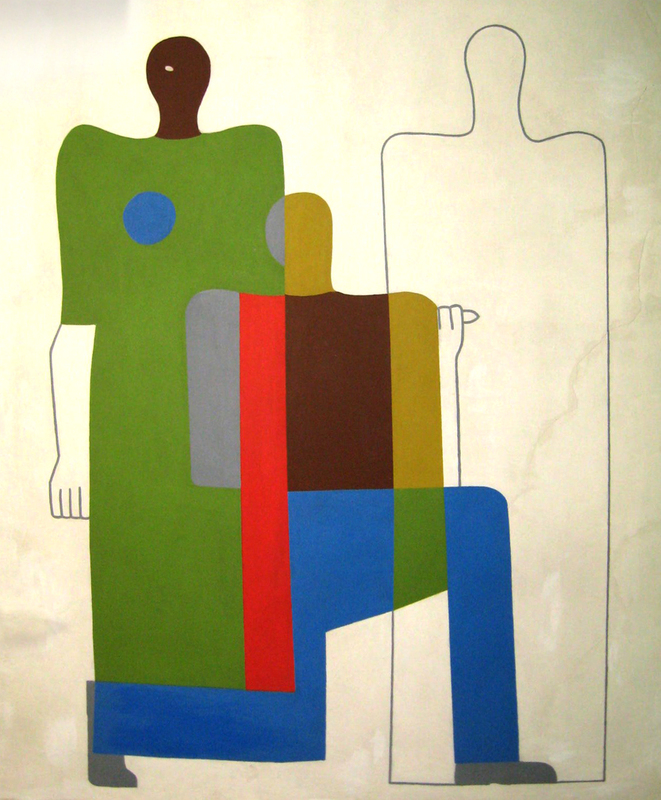 The above images are via Mendel's Murals. Leading art conservationist, Professor Ian Hodkinson mangaged the murals removal and relocation, which took place from August 2009 thru November 2010. 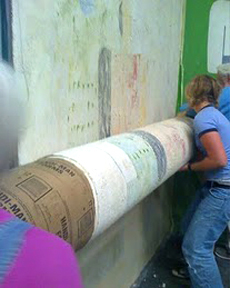 A team of art conservators aided Hodkinson in removing the mural using a technique known as strappo, whereby the mural is quite literally peeled off the wall. To describe the process in short - cod fish glue is applied to the wall to which a couple of layers of canvas are attached; after the glue dries the canvas is rolled up- peeling the image off the wall; the image is then transferred to a substrate/panel using pressure and heat sensitive glue (in this case); then the fish-glued canvases are removed from the surface/face revealing the original image. 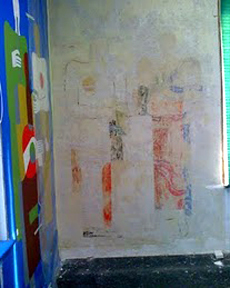 It was decided that a replica of the original room that housed the murals should be created in order to display the art. 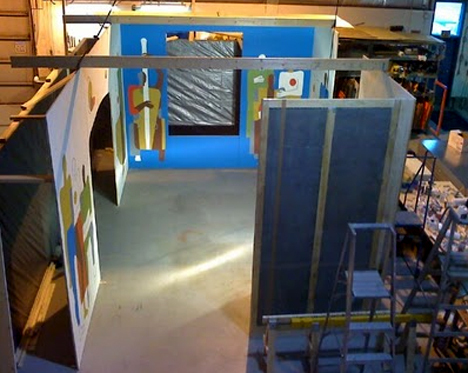 This room was temporarily built in November of 2010 for a brief showing before it was put in storage to await its final installation in the new Art Gallery of Saskatachewan (see image below). 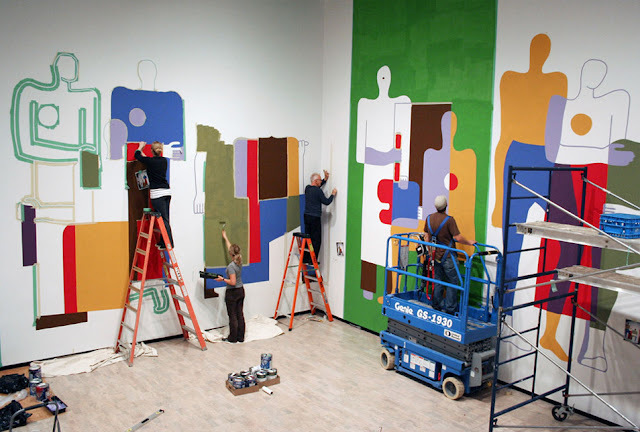 Head over to Mendel's Murals blog to see more images of the mural and the conservation process from beginning to end. Here is a brief news video about the murals restoration. 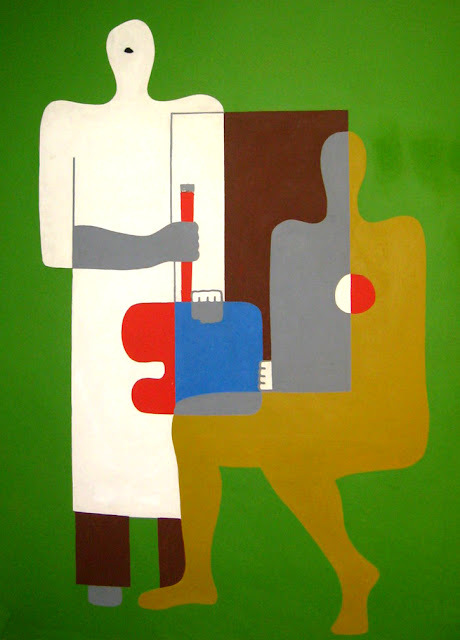 The Mendel Art Gallery has a lot of information on Perehudoff, including some great video interviews as part of their retrospective exhibit on the artist called, "The Optimism of Colour." Check it out here.